At 1:00pm in mid October, 1960 the two workmen opening a cattle gate in the boundary fence along the Millbillillie – Jundee Station track were struck by the sight of blazing fireball descending from the sky with a thunderous sound. 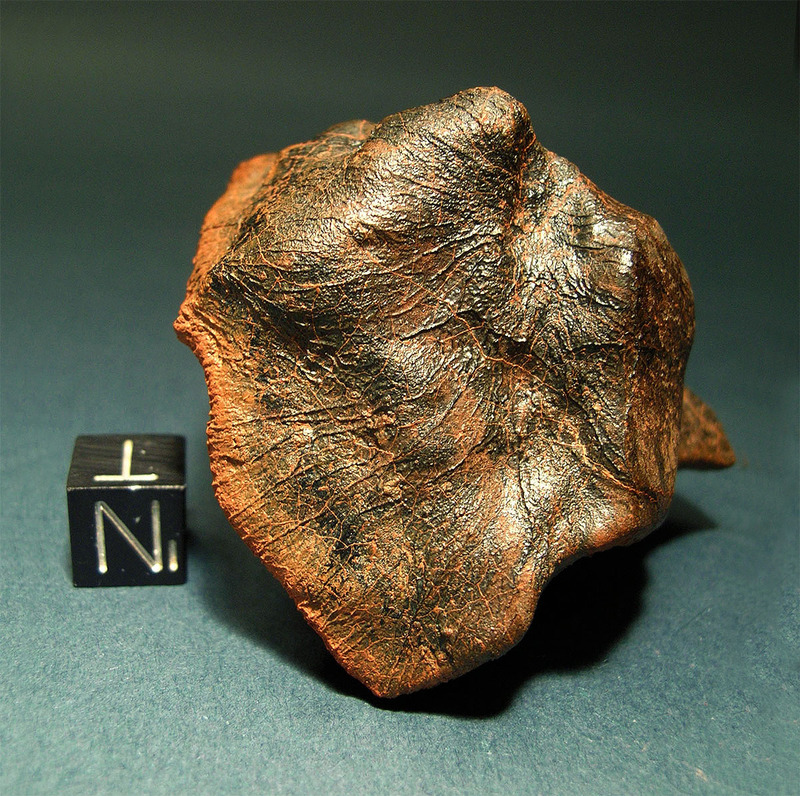 But it was not until 1970 that the first meteorite was found. The specimen has the shape of a twin cone with two apexes and a flat trailing edge. Flowlines run from the twin tops towards the edge to the rear making the complete meteorite appear distinctly streamlined from all sides. These flowlines culminate in a number of spikes protruding from the thick rollover lip encircling the trailing side. The two apexes are separated by a deep gorge melted into the monomict eucrite material.